The Massachusetts Gaming Commission will allow casinos to deal 6:5 blackjack. 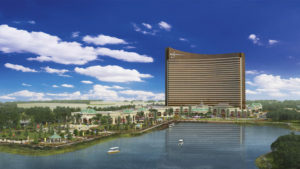 When MGM Springfield and Wynn Boston Harbor both open they will have the option to deal both the traditional 3:2 blackjack game and 6:5 blackjack games. Expect to see both casinos offer a mix of both payouts when a player is dealt a natural blackjack. When MGM Resorts International opened MGM National Harbor in Maryland, they also brought 6:5 blackjack to a state that previously only offered 3:2 blackjack games. MGM Resorts casinos and Wynn Las Vegas offer 6:5 blackjack games in their Las Vegas casinos. Blackjack players in Massachusetts should expect to find 6:5 blackjack games at both MGM Springfield and Wynn Boston Harbor when they open. 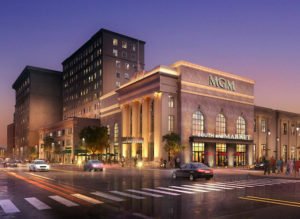 MGM Springfield could offer similar blackjack games as MGM offers at National Harbor. A recent Reddit comment from MGM National Harbor shows that there’s be a mixture of 6:5 games for low rollers (under $25) and 3:2 blackjack games for those playing hands with a minimum wager of $25 or more. MGM Springfield could have the same spread of games. Dealers for the 6:5 blackjack games will not shuffle by hand. The state blackjack rules say that a card shuffling device shall be used for 6:5 blackjack. The rules also say that these games must be dealt by hand. Similar to other blackjack pitch games, a round of cards will be dealt to players face down. The dealer will the take a card face up showing its value. Afterwards, the second round of cards will be dealt face down to all players and the dealer. Surrender will not be available for 6:5 blackjack games. Something to keep an eye on when the casinos open are the splitting rules. The casino operators in Massachusetts may prohibit doubling down after splitting pairs (DAS) but they don’t have to. A recent blackjack survey in Las Vegas shows that MGM Resorts and Wynn Las Vegas allow players to double after splitting in their double deck games. Blackjack dealers in Massachusetts will hit on soft 17. According to the state’s blackjack rules, the dealer will draw cards until they have a hard total of 17 or a hard or soft total of 18, 19, 20 or 21. Massachusetts gives casinos a good amount of flexibility in the blackjack rules of each game. The house edge for 6:5 blackjack games in Massachusetts should be less than 2% given the worst case scenario from the states blackjack rules.